So I have the second of the two Daily Lacquer polishes I bought back around Valentine's Day for you today. (see the first one here). That being said, here's 3 coats of 'I'll Fly Away'. 'I'll Fly Away' is a "light turquoise (uhhh?) 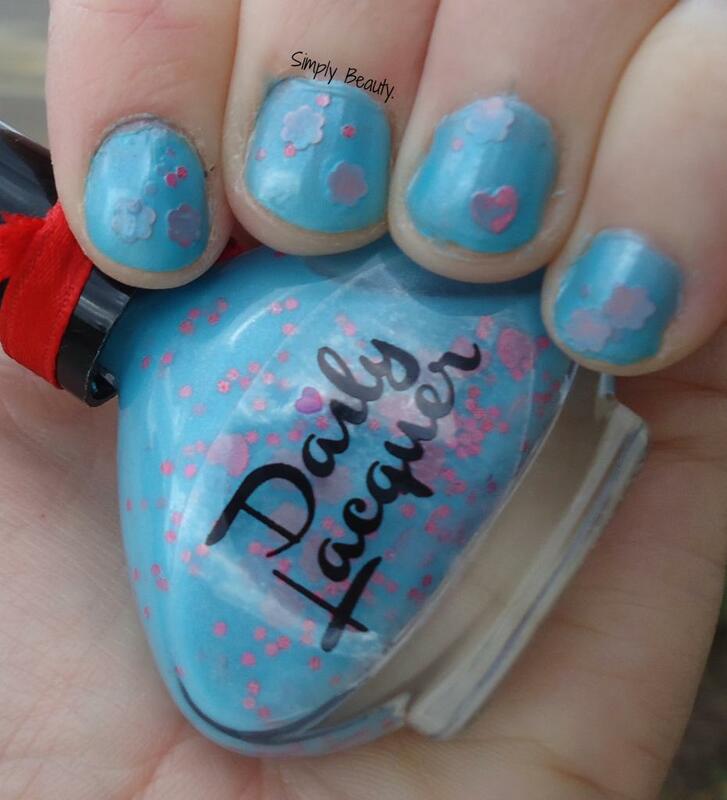 crelly polish" filled with matte pink hearts & flowers. It would have been a good idea for a V-day polish, but I feel that it's easily a good one for Springtime, too. Get This: usually her Etsy, but she's currently on vacation. You can find some of her polishes here, on her other website. The glitter got lost & it just didn't look as good as I was expecting. No ofense but this looks "blah" on nails. 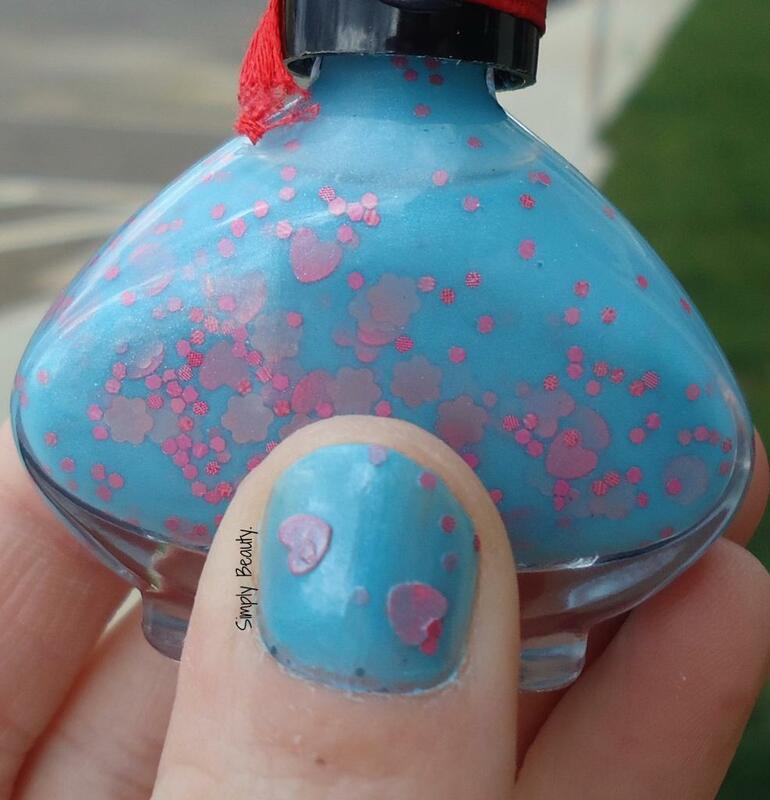 In the bottle looks gorgeous! No, I totally agree! I came to the same conclusion :/ it's a bummer.